We decided to have Eli baptized yesterday. Yes, same as my birthday so that I won't forget. I've become extremely forgetful ever since I got pregnant. Must be all the hormones. Gotta show what my little boy wore too of course! You're such a cute mom! You look darling! Happy Birthday Lloyda! i love the red bowtie!!!! and belated happy birthday to you!!! 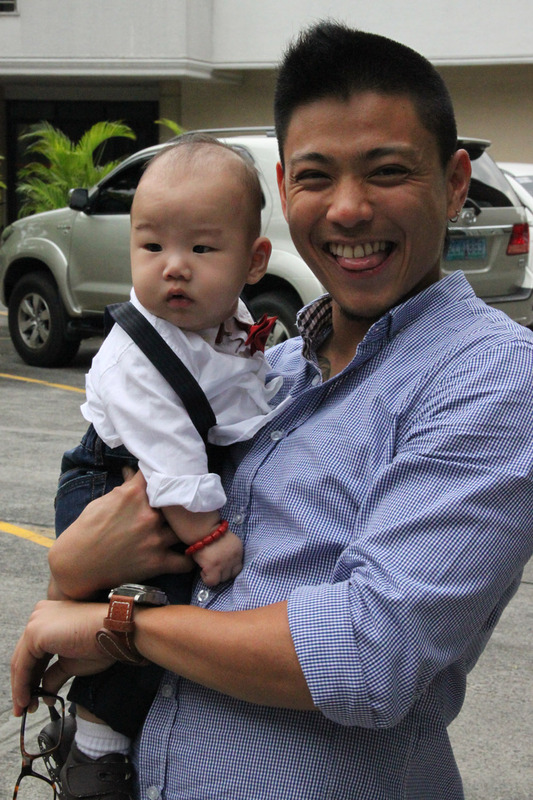 Happy Birthday again and Welcome to the Christian world Baby Eli :) love his outfits! so cute!!! Awww, Eli looks so adorable! 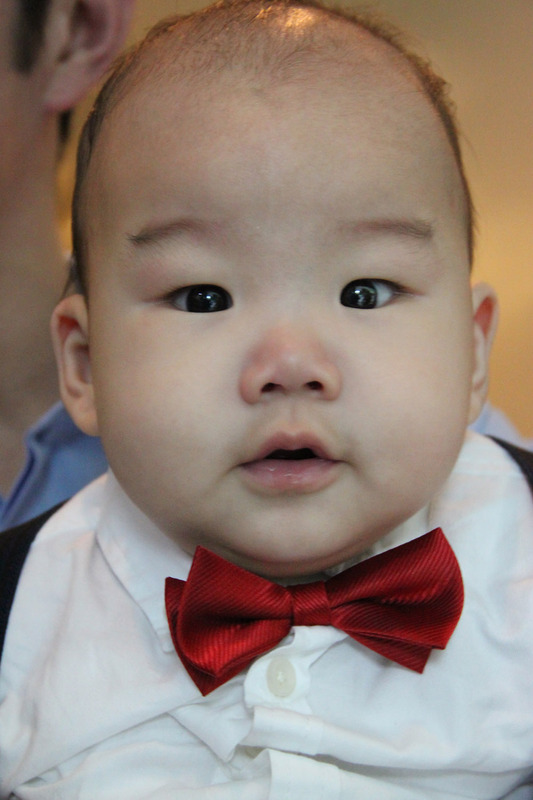 That red bow tie is just darling. :) You look great too! Belated happy birthday (though I think I greeted you on your birthday too haha). 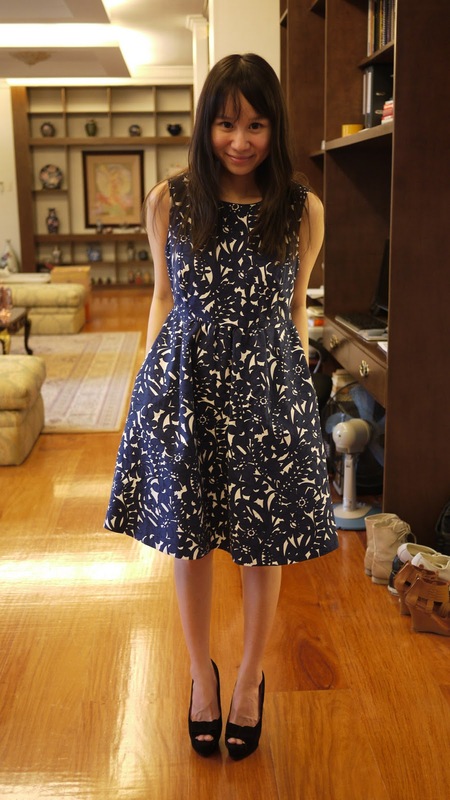 I love your outfit! So simple yet very elegant! 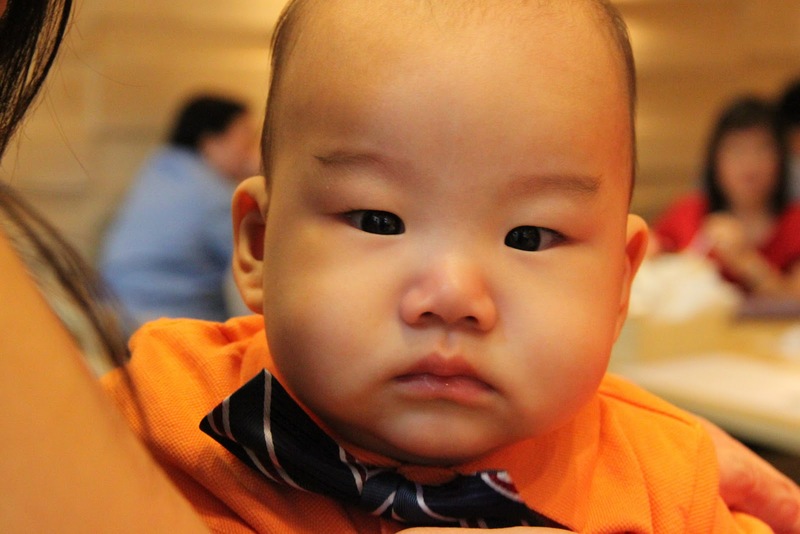 Baby Eli looks ZUUUUUUPPPPPER ADORBZ!!!! And how dainty are you in those chic pumps! You are so pretty and Eli is sooooooooo CUTE. haha. love the bow tie. I am so forgetful too, Lloyda! :( sad. I love eli's outfit!! you both look dashing! 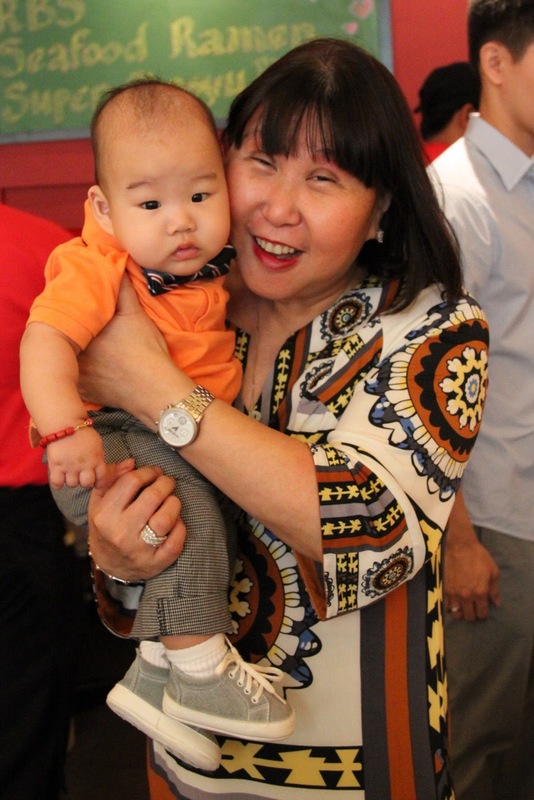 Aww, your baby's too cute! And also -- your outfit is amazing. baby and high heels, who would have thought this would be a rockin combo? and eli is sooo adorbs! welcome to the Christian world eli!! I love the bowtie on eli. 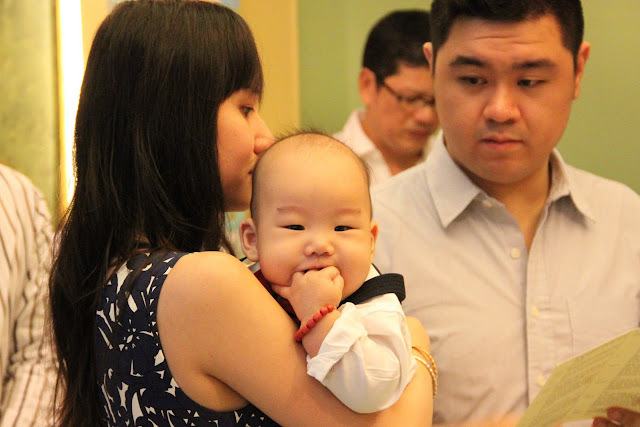 :) welcome to the christian world, baby. congratulations again! i love his chinky eyes! :) mwah! Eep! There are those cheeks again! And gah, your little boy looks so dapper in his outfits!